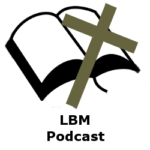 In this episode Jason veers off of the apologetic path and talks about a topic that has befuddled Christians for centuries. Jason goes into Genesis 6 and discusses the passage. What are the Nephilim and who were the Sons of God? What does the New Testament say and how did the Jews and the early Church fathers look at this passage? All these are questions that Jason attempts to answer in this episode. Jesus enslaved no one, Muhammad was a slave owner. Jesus healed the sick, Muhammad healed no one. Jesus walked on water, Muhammad rode a camel. Jesus made blind people see, Muhammad could only make seeing people blind. Jesus made the cripple walk, Muhammad could only make the walking crippled. Jesus could make a dead man come to life, Muhammad could only make a live man dead. Jesus’ tomb is empty, Muhammad still resides in his tomb in Medina.